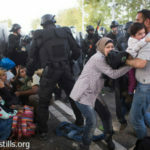 3 Apr 2019 – The aims of the Great March of Return protests, which began in Gaza on March 30 last year, are to put an end to the suffocating Israeli siege and implement the right of return for Palestinian refugees who were expelled from their homes and towns in historic Palestine 70 years ago. But there is much more to the protests than a few demands, especially bearing in mind the high human cost associated with them. 13 Feb 2019 – The situation in Venezuela is dire, with children reportedly dying as a result of the lack of medicine and food. The country is also gearing up for a US military intervention and possible civil war. 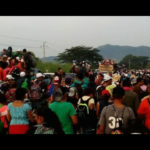 Considering that all such tragic predictions have already been witnessed in Iraq, Syria, Libya and elsewhere, South American leaders and the few sensible voices around the world must move to block any further US meddling, and allow the people of Venezuela, through democratic means, to determine their own future. 9 Jan 2019 – Newly-inaugurated Brazilian President, Jair Bolsonaro, is set to be the arch-enemy of the environment and indigenous and disadvantaged communities in his country and promises to be a friend of like-minded, far-right leaders the world over. 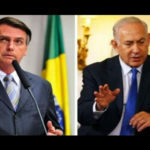 A special friendship is blossoming between Bolsonaro and Israeli Prime Minister, Benjamin Netanyahu. 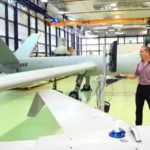 Israel exports wars to its neighbors, war technology to the rest of the world, and should not be seen as the model to follow, but rather the example to avoid. 5 Dec 2018 – Watching the ongoing debate between liberal and right-wing pundits on US mainstream media, one rarely gets the impression that Washington is responsible for the unfolding chaotic situation in Central America. In fact, no other country is as accountable as the United States for the ongoing chaos and resulting refugee crisis. 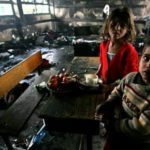 Several Palestinian students, along with teachers and officials, were wounded in the Israeli army attack on a school south of Nablus in the West Bank on October 15. “Popular terror,” is an Israeli army code for protests. The students, of course, have every right to protest, not just the Israeli military Occupation but also the encroaching colonization of the settlements. 19 Sep 2018 – Like vultures, Israeli soldiers descended on Khan Al-Ahmar, on Sep. 14, recreating a menacing scene with which the residents of this small Palestinian village, located East of Jerusalem, are all-too-familiar. The strategic location of Khan Al-Ahmar makes the story behind the imminent Israeli demolition of the peaceful village unique amid the ongoing destruction of Palestinian homes and lives throughout besieged Gaza and Occupied West Bank. 12 Sep 2018 – Yossi Beilin is back. This unrepentant Israeli ‘peacemaker’ is like the mythical phoenix, continually resurrecting from its ashes. In a recent article in Al-Monitor, Beilin wrote in support of the idea of a confederation between Israel and Palestine. Bizarrely, Beilin is promoting a version of an idea that was pushed by Israel’s extremist Defense Minister, Avigdor Lieberman. 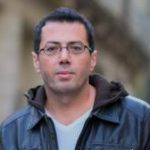 5 Sep 2018 – With unconditional support from the Trump Administration, Tel Aviv sees a golden opportunity to redefine what has, for decades, constituted the legal and political foundation for the so-called ‘Palestinian-Israeli conflict.’ It aims to create a new reality in which Israel achieves its strategic goals while the rights of Palestinians are limited to mere humanitarian issues. 15 Aug 2018 – Between 2008 and 2016, 31 boats have sailed to Gaza from many destinations, all intercepted, their cargo seized and their passengers mistreated. The most tragic of these incidents was in May 2010 when the Israeli navy attacked the “Mavi Marmara” ship killing ten activists and wounding many more. 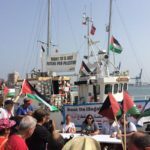 Even then, the stream of solidarity boats continued to arrive, not only unhindered by the fear of Israeli retribution, but also stronger in their resolve. 25 Jul 2018 – Israel has made its choice and it is, unmistakably, the wrong one. The rest of the world must now make its choice as well, hopefully, the right one: standing on the right side of history – against Israeli Jewish Apartheid and for Palestinian rights. 18 Jul 2018 – “In my four years as High Commissioner, I have heard many preposterous claims. That claim is almost in its own category of absurdity. Have you no shame, sir, have you no shame? We are not fools.” — UN High Commissioner for Human Rights Zeid Ra’ad al-Hussein to a Burmese official’s claim that his country is not targeting Rohingya in a genocidal campaign but is defending the rights of all its citizen. 11 Jul 2018 – A recent European Council summit in Brussels was meant to articulate a united policy on the burgeoning refugees and migrant crisis. Instead, it served to highlight the bitter divisions among various European countries. Considering the gravity of the matter, Europe’s self-serving policies are set to worsen an already tragic situation. 19 Jun 2018 – European politicians should confront the question honestly: what are the reasons for millions of people leaving their homes? They must then fashion equally honest and humane solutions. Put simply, they need to stop the wars to end the refugee crisis. Look at the facts. 13 Jun 2018 – What is taking place in Palestine is not a ‘conflict’. We readily utilize the term but, in fact, the word ‘conflict’ is misleading. It equates oppressed Palestinians with Israel, a military power that stands in violation of numerous United Nations Resolutions. Israel has already, and repeatedly, violated most conditions of what constitute an ‘Occupation’ from an international law perspective. 30 May 2018 – Interacting with hundreds of people and being exposed to multiple media environments in both mainstream and alternative media, I learned much about the changing political mood on Palestine in the western world and gained a good perspective on the ideas, perceptions, and attitudes of people in government, media, academia and civil society. 23 May 2018 – ‘Israel has the right to defend itself’, White House officials announced, paying no heed to the ludicrousness of the statement when understood within the current context. Peaceful protesters were not threatening the existence of Israel; rock-throwing kids were not about to overwhelm hundreds of Israeli snipers, who shot, killed and wounded Gaza youngsters with no legal or moral boundary whatsoever. 10 May 2018 – Palestinians, disenchanted with factional division, are laboring to create a new political space, independent from the whims of factions; because, for them, the real fight is that against Israeli Occupation, for Palestinian freedom and nothing else. 18 Apr 2018 – The term ‘media bias’ does not do justice to the western corporate media’s relationship with Israel and Palestine. 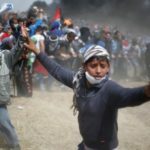 The current disgraceful coverage of Gaza’s popular protests indicates that the media’s position aims at suppressing the truth on Palestine, at any cost, and by any means. 31 Jan 2018 – There is a new Cold War that is brewing and the African continent is slated to be its epic center. 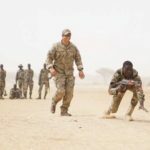 With China’s impressive rise as an economic superpower and Russia’s re-emergence as a strong military contender, the United States government is giving more attention on Africa. 30 Jan 2018 – Although the genocide of the Rohingya minority in Myanmar has gathered greater media attention in recent months, there is no indication that the international community is prepared to act in any meaningful way, thus leaving hundreds of thousands of Rohingya refugees stranded in border camps between Myanmar and Bangladesh. 3 Jan 2018 – The Israeli government is planning a series of measures aimed at fully denying Palestinians their legal rights in Jerusalem and precluding any future peace settlement based on sharing the city between Israel and a future Palestinian state. 13 Dec 2017 – Now that the American mask has completely fallen, Palestinians require an urgent rethink in their own political priorities, alliances and national liberation strategy. Business should not go on as usual after Trump accepted Israel’s definition of Jerusalem as its capital. 11 Oct 2017 – Some promises are made and kept; others disavowed. But the ‘promise’ made by Arthur James Balfour in what became known as the ‘Balfour Declaration’ to the leaders of the Zionist Jewish community in Britain one hundred years ago, was only honored in part: it established a state for the Jews and attempted to destroy the Palestinian nation. 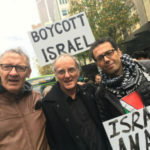 4 Oct 2017 – BDS stands for ‘Boycott, Divestment and Sanctions’. The BDS Movement was the outcome of several events that shaped the Palestinian national struggle and international solidarity. 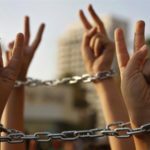 Building on a decades-long tradition of civil disobedience and popular resistance, and invigorated by growing international solidarity with the Palestinian struggle, Palestinians moved into action. 16 Aug 2017 – On August 1, the Palestinian Bedouin village of Al-Araqeeb was destroyed for the 116th time. As soon as Israeli bulldozers finished their ugly deed and soldiers began evacuating the premises, the village resident immediately began rebuilding their homes. 22 families, or about 101 residents, are estimated to live here. By now, they are all familiar with the painful routine, considering the first round of destruction took place in July 2010. 21 Jun 2017 – The US Ambassador to the UN, Nikki Haley, seems to be championing a single cause: Israel. Haley seems to truly think of herself as the new sheriff in town, who will “kick ’em every single time”, before riddling the bullies with bullets and riding into the sunset, along with Netanyahu. 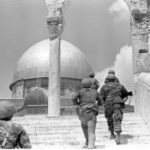 Since the Negroponte doctrine of 2002, thousands of Palestinians and hundreds of Israelis were killed in an occupation that seems to know no ends. 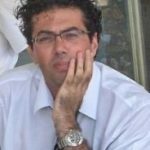 24 May 2017 – Bat-Hen Epstein Elias’s long article on Iranian Jews is interesting. Parts of it, in fact, are heartwarming. Yet, despite the lack of any serious evidence, the story is entirely framed in the language of fear. Trump assigned his son-in-law, Jared Kushner, an Orthodox Jew and a strong supporter of Israel’s rightwing, to broker peace between Israel and the Palestinians. Trump’s pick for US ambassador to Israel, David Friedman, is controversial even in the eyes of some Israelis, due to his close association with extremist Jewish parties that labor to seize Palestinian Muslim and Christian properties in Occupied East Jerusalem. 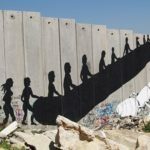 15 Feb 2017 – Empirical historical evidence combined with little common-sense are enough to tell us the type of future options that Israel has in store for the Palestinian people: perpetual apartheid or ethnic cleansing, or a mix of both. Trump may be described with all the demeaning terminology that one’s livid imagination can muster: evil, wicked, tyrannical, misogynist, war-mongering, rich buffoon, ‘insulting our allies’, infatuating with ‘dictators’, etc. But do not miss the point. There is hardly a single bad deed that Trump has carried – or intends to carry out – that does not have roots in another policy championed by previous administrations. 7 Feb 2017 – Within days of Donald Trump being sworn in, the Israeli government announced the approval of around 2,500 new housing units. Within the first two weeks of Trump’s presidency, the number of new housing units, all to be built illegally on Palestinian land, was raised to 5,500, including the first brand-new government-sanctioned colony in years. 25 Jan 2017 – No, it was not just ‘another Middle East peace conference,’ as a columnist in Israeli ‘Jerusalem Post’ attempted to depict the Paris Peace Conference held on January 15, with top official representations from 70 countries attending. No, it was an end of an era. The American era in the Middle East. There is no doubt that the UN Security Council condemnation of Israel on Friday [23 Dec] was an important and noteworthy event. True, the UN’s main chambers (the UNSC and the GA) and its various institutions, ranging from the International Court of Justice to UNESCO, have repeatedly condemned the Israeli occupation, illegal Jewish settlements and mistreatment of Palestinians. 1 Nov 2016 – Despite all the threats and political grandstanding, UNESCO’s World Heritage Committee has approved, on October 26, a new resolution that reaffirms the status of occupied Jerusalem’s Old City on the list of endangered world heritage sites. “We will not accept any (rocket) fire, any provocation, against the citizens of Israel by whoever it might be, or any attack on Israel’s sovereignty. Not rocket fire, and not a flotilla,” Lieberman said. The activists atop the boat included Nobel Peace Prize winner Mairead Maguire of Northern Ireland. In Lieberman’s logic, Maguire’s act to end a decade-long blockade on a poor region is equivalent to the firing of a rocket. When the UN chief is gone, he will be missed – but certainly not by Palestinians in Gaza or refugees in Syria, or war victims in Afghanistan. In his last visit to Palestine in June, Ban Ki-Moon told distraught Gazans that the “UN will always be with you.” As tens of thousands there still stand on the rubble of their own homes, denied freedom to move or rebuild, his statement is as forgettable as the man’s legacy at the UN. Now, wars are carried out as a matter of course. With multiple war fronts and conflicts fermenting all around, many are becoming desensitized. Americans particularly have, sadly, swallowed the serum of perpetual war, to the extent that they rarely mobilize in any serious way against it. In other words, a state of war has become the status quo. In Palestine, factions perceive democracy to be a form of control, power and hegemony, not a social contract aimed at fostering dialogue and defusing conflict. Thus, it is no wonder that supporters of two Fatah factions, one loyal to PA President Mahmoud Abbas and another to Mohammed Dahlan, recently clashed in Gaza. Several were hospitalized after sustaining injuries. 22 Jun 2016 – Entire communities in the West Bank either have no access to water or have had their water supply reduced almost by half. By shutting down the water supply at a time that Israeli officials are planning to export essentially Palestinian water, Israel is once more utilizing water as a form of collective punishment. 8 Jun 2016 – In their defense, the Israelis seem to have figured out the whole thing and opted out. But the hapless Palestinian leadership, along with their Arab League partners, joined by the French, EU and UN representatives, and even US Secretary of State, John Kerry, decided to play along. 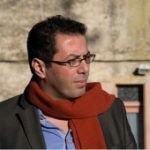 However, the French peace initiative-turned-conference in Paris on June 3 is nothing but a charade, and they all know it, Palestinians included. 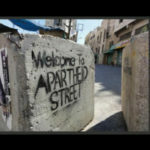 The Spirit of Nelson Mandela in Palestine: Is His Real Legacy Being Upheld? When Nelson Mandela said, “We know all too well that our freedom is incomplete without the freedom of the Palestinians,” he was not trying to be cordial or diplomatic. He meant every word. Someday, we hope that a statue of Mandela, one that represents the spirit of Resistance in Palestine, will stand tall amid the people who championed his cause and loved him most. 16 Mar 2016 – A foray of condemnations of the boycott of Israel seems to have fallen on deaf ears. 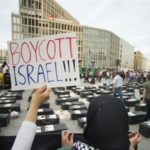 Calls from Western governments, originating from the UK, the US, Canada and others, to criminalize the boycott of Israel have hardly slowed down the momentum of the pro-Palestinian Boycott, Divestment and Sanctions movement (BDS). On the contrary, it has accelerated. The president of the German Chamber of Psychotherapists, which carried out the research, said that more than 70 per cent of the refugees had witnessed violence and more than 50 per cent were themselves victims of violence. Nearly half of them have nightmares and flashbacks as if their terrible ordeals “were happening all over again”. When the Americans and their allies claimed that they had left the region [M.E. ], they left behind bleeding, impoverished nations, licking their wounds and searching for bodies under rubble in diverse and macabre landscapes. Yet, the Americans, the British, the French and the Israelis, continue to stage their democratic elections around the debate of who will hit us [Arabs] the hardest, humiliate us the most, teach the most unforgettable lesson and, in their late night comedies, they mock our pain. With Myanmar climbing to the world top five countries of proven oil and gas reserves, terms such as genocides, military juntas and human rights are omitted from the new discourse. A whole new narrative is being written jointly by the Myanmar army, nationalist parties, Suu Kyi’s NLD, western investors and anyone else who stands to benefit from the treasures of one of the world’s worst human rights violators. 17 Aug 2015 – On April 26, 2011, a meeting that can only be described as sinister took place between the then Italian Prime Minister, Silvio Berlusconi, and French President, Nicolas Sarkozy. 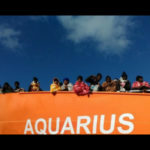 The most pressing issue discussed at the meeting in Rome was how to deal with African immigrants. 11 Aug 2015 – Intellectual discussion concerning the “Arab Spring” has almost entirely shifted from one concerning freedom, justice, democracy and rights in general, into a political wrangle between various antagonist camps. The people, who revolted across various Arab countries are now marginalized in this discussion, and are only used as fodders. Both Iran and its Arab foes could, in fact, see this as an opportunity. Instead of waiting for the cunning US to regroup and re-adapt to strike more division, Arabs and Iran should understand that it is, ultimately, their countries and peoples who will continue to suffer the consequences of war, sanctions, divisions and extremism. 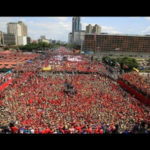 30 Apr 2015 – A student group recently asked me to address socialism in the Arab world, with the assumption that there is indeed such a movement that is capable of overhauling inherently incompetent and utterly corrupt regimes, across the region. No such group or configuration of socialist groups exists today. 10 Apr 2015 – We must remember that there are still 18,000 people trapped in Yarmouk, and even if it is untimely, we must do something – anything. The refugees of Yarmouk – whose population once exceeded 250,000 – is a microcosm of the story of a whole nation, whose perpetual pain shames us all, none excluded. The IS phenomenon is ahistorical and raises questions about its rapid geopolitical expansion despite lack of enthusiasm for its cause among ordinary people. Thanks to IS’ despicable act of burning the pilot, Jordan is no longer polarised about their country’s war in Syria. Egypt is following the same path of intervention, thanks to the butchering of the Egyptian workers. Some Arab rulers continue to declare their strong support of Palestine and its cause. ‘Operation Protective Edge,’ however, has exposed beyond a doubt that such solidarity is just a mere show of words. Since Israel besieged Gaza with Egypt’s help and coordination, life for Gazans has become largely about mere survival. Gazans were not allowed to venture out, fish, or farm, and those who got even close to some arbitrary “buffer zone,” determined by the Israeli army within Gaza’s own borders, were shot and often killed. The list of participating countries is growing as is the number of war criminals killing in the name of Israel. There are reportedly over 1,000 US citizens fighting in the Israeli army. The French government imposed a ban on French society from showing solidarity with Palestinians in Gaza. The British government is shamelessly on the Israeli side as Gaza is being pulverized by western weapons and military technology. Is it possible that following several failed attempts, Fatah and Hamas have finally found that elusive middle ground? And if they have done so, why, to what end, and at what cost? Omar is a 7-year-old boy from Gaza. 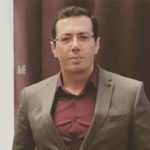 His family managed to obtain the necessary permits that allowed him to cross the Erez checkpoint to Jerusalem, through the West Bank, in order to undergo surgery. On the way back, the boy and his father were stopped at the Qalanidya checkpoint, separating occupied East Jerusalem from the West Bank. Global surveillance is merely an indication that President Barack Obama – as a representation of the US ruling class – was never sincere as he attempted to woo the world with an image of a more gentle and peaceful American government. From Libya to Mali a typical story is forming, coupled with lucrative contracts and massive opportunities of all sorts. When private security firms speak of an emerging market in Africa, one is to safely assume that the continent is once more falling prey to growing military ambitions and unfair business conduct. Empires don’t crumble overnight, however. A fall of an empire can be as agonizingly long as its rise. Signs of that collapse are oftentimes subtle and might not be followed by a big boom of any sort, but can be unambiguous and definite. The humanitarian crisis in Mali is developing at an alarmingly fast pace. Northern Mali promises to be the graveyard of scores of innocent people if African countries don’t collectively challenge Western influence in the region. The issue is not about hummus, chocolate bars or Dead Sea vacations. It is about civil society taking full responsibility for its own actions (or lack of). The issue is not exactly about Israeli products either, but rather about how even a seemingly innocent decision like buying Israeli dates may enable the continued subjugation of the Palestinian people. The so-called ‘Arab Spring’ is creating an intellectual divide that threatens any sensible understanding of the turmoil engulfing several Arab countries. Speaking truth to power is still possible, and is more urgent than ever. The fate of a nation, any nation, cannot be polarized to the terrible extent that the Arab uprisings have. On both sides of the divide, some are cheering for foreign intervention, while others are justifying the senseless murder of innocent people by dictators. The Libya that inspired the world is capable of overcoming NATO’s stratagems, if it becomes aware of NATO’s true intentions in Libya and the desperate attempt to thwart or hijack Arab revolts. But frankly, at this juncture of Middle East history, Israel is almost negligible. It no longer has a transformative influence in the region. When the Arab people began revolting, a new dimension to the Arab-Israeli conflict emerged. As the chants in Cairo’s Tahrir Square began to adopt a pan-Arab and pro-Palestinian language, it became obvious that Egypt would soon venture outside the political confines of Washington’s patronizing labels, which divide the Arabs into moderates (good) and radicals (bad). If one tried to fit music compositions into an equivalent literary style, Gilad Atzmon & The Orient House Ensemble’s latest release would come across as a most engaging political essay: persuasive, argumentative, rational, original, imaginative and always unfailingly accessible. But unlike the rigid politicking of politicians and increasingly Machiavellian style of today’s political essayists – so brazen they no longer hide behind illusory moral façades – the band’s latest work is also unapologetically humanistic. Even those who purport to sympathize with resisting nations often contribute to the confusion. Activists from Western countries tend to follow an academic comprehension of what is happening in Palestine, Iraq, Lebanon and Afghanistan. Thus, certain ideas are perpetuated: suicide bombings bad, nonviolent resistance good; Hamas rockets bad, slingshots good; armed resistance bad, vigils in front of Red Cross offices good. Many activists will quote Martin Luther King Jr., but not Malcolm X. They will infuse a selective understanding of Gandhi, but never of Guevara. This supposedly “strategic” discourse has robbed many of what could be a precious understanding of resistance – as both concept and culture. Media channels – especially those dispatching their news from various Western capitals – focus not simply on sensational news, but they also intentionally sensationalize news, and purposely relay the news so as to be understood within Western contexts. Thus ‘democracy’, ‘elections’, ‘government restrictions’ and ‘terrorism’ are the usual buzzwords. Sadly, the south is also stereotyped in the south itself. Newspapers in non-Western societies depend on coverage provided by Western news agencies for their international news. An Indonesian friend recently commended on my ‘bravery’ for going to South Africa. For him, South Africa is just ‘Africa,’ where ‘primitive’ people, along with lions and other wild animals prey on innocent white tourists. Thank you, Hollywood, for perfecting the art of stereotype.